The Foundation has had a busy summer! This year has come with many exciting changes for the Foundation. We acquired our own 501c3 non-profit status and will continue to offer our help to cancer patients here in Wyoming. We have strengthened our partnership with the Angels Cancer Care Program and they have joined our Foundation, including representation on our Board of Directors. We hired our first Executive Director and we can already boast of several successful fundraisers and free screening events. After 11 years as a branch of the ePlus Cancer Care Foundation, the Foundation applied for its own status as a 501(c)3 organization through the IRS last year. In the transition, we invited the Angels Cancer Care Program, a group of volunteers with a rich history in Casper, to join us in our fight against cancer. Since so many of the Angels have personal experiences with cancer and have a great understanding of the unique needs of cancer patients, we are better together and can better serve cancer patients in Wyoming. Joining our Foundation and adding their passion with representation on our Board of Directors has helped shape our direction moving forward. This summer lots of hard work was put in by the Board of Directors to obtain our official letter of exemption from the IRS, making all donations to the Foundation and the Angels Program tax deductible. At the beginning of the summer, we also hired our first Executive Director, Abigail Strube. Abi is a Wyoming native who understands the impact of cancer on a family. Born in Casper, she attended Kelly Walsh, Casper College, and the University of Wyoming before returning to Casper to join the Wyoming Foundation for Cancer Care. She loves Wyoming and is proud to serve its residents through a cause that hits close to home. The Board of Directors is growing and the Foundation is spreading out into all corners of Wyoming. Dr. Robert Tobin continues to serve as the Board President, with accountant Rick Mason joining the Board this year as Treasurer. Ryea’ O’Neill is the Board Secretary and with the addition of two Angels Cancer Care Program members, Susie McMurry and Judy Murray, the Foundation’s Board of Directors continues to grow in its passion and depth. We have helped patients from many cities all over Wyoming. The Foundation has helped over 176 patients with monetary needs like rent, utilities, travel expenses, and groceries in 2018. The Angels help many more patients everyday by making new patient gift bags with supplies to combat side effects of Chemotherapy. They sit with patients during their treatments and have helped make meals, drive patients to their appointments and pick up medications. 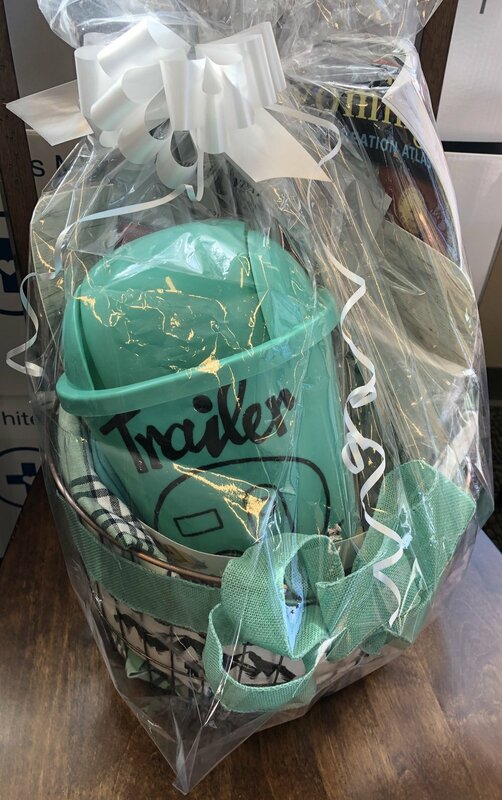 The Foundation also has a collection of wigs, hats, and mastectomy prosthetics and bras available in the Angels Workshop, located onsite at Rocky Mountain Oncology Center. The Angels often create gift bags with treats for patients at every holiday and cater meals once a month for cancer patients residing in temporary lodging while in treatment. After the new Masterson Place is finished, this service will continue there for all patients housed there from contributions of both the Foundation and the Wyoming Medical Center Foundation. This summer was a busy one for all of the Foundation’s fundraising and community awareness efforts! We entered a float in the annual Central Wyoming Fair & Rodeo Parade to broaden awareness of our annual Tough Enough to Wear Pink (TETWP) fundraiser and we shared flyers on behalf of Rocky Mountain Oncology Center to inform the public of their free cancer screenings. 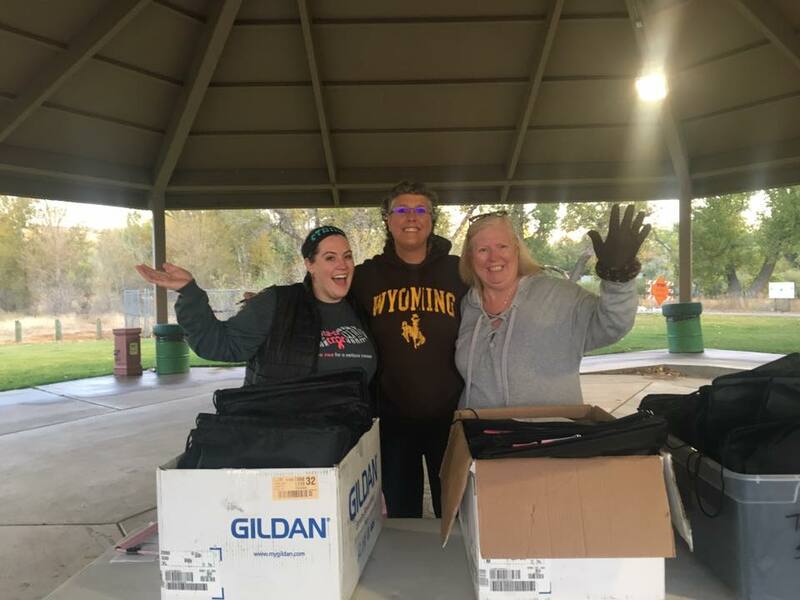 The Foundation volunteered and shared resource brochures at the free cancer screenings and we were able to help connect Wyoming residents with physicians and resources. We had an amazing time at our TETWP booth this summer, despite all of the rain! Wyomingites turned out in numbers and contributed to our best year yet; which will result in numerous cancer patient assistance opportunities! In July, the Foundation partnered with Pizza Ranch to host a Community Impact Night. In addition to Angel volunteers, members of the KWHS National Honors Society helped to make this event a success. We were able to meet with many community members and share our mission and ways to they can contribute by volunteering and being a part of what we do in the community. Every donor who has invested in our Foundation and our mission is helping to reduce the burden of cancer on local residents and build a better Wyoming. This year the Foundation had several very generous donations, and one donor who matched us up to $20,000! These donors make it possible for us to continually expand our reach throughout the whole state and serve more patients every year. During the Wyoming Women’s Expo, the Foundation kicked off Breast Cancer Awareness month with the 9th annual Ta-Ta Trot 5K Fun Run. Tanya Gygax, a breast cancer survivor, shared her cancer story to over 150 participants and 20 volunteers, reminding us all what we are working towards. She started the run with a message of strength and hope. It was a beautiful day enjoyed by all and we had an amazing time together. The Foundation is looking ahead to next year and have big plans for a mile marker – the 10th Annual Ta-Ta Trot. The Foundation’s next event this year will be the Reindeer Relay. Historically, the Angels Cancer Care Program hosts this event and the Foundation is so excited to join them this year to build something wonderful! Each year before the Holiday Square Celebration in Conwell Park, the 5k relay begins with the sharing of free mugs with hot chocolate or schnocolate (hot chocolate spiked with Schnapps)! Join us by forming a team with 8 of your friends, family, or coworkers, and let’s get in the spirit for the holiday season!